And so we arrive to the final part of my Portugal aquascaping tour. 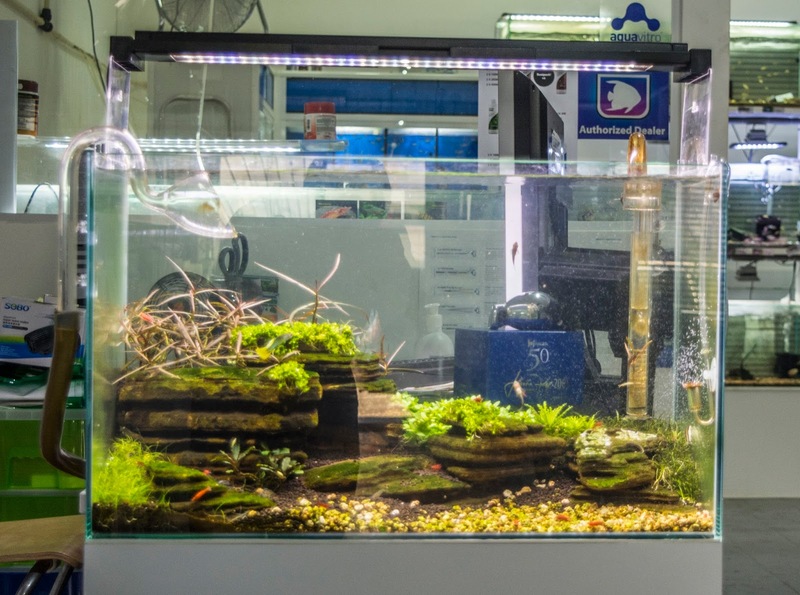 We began with a visit to the amazing Aquaeden in Malveira, followed by a short visit south back into Lisbon to marvel at the beauty of Takashi Amano's impressive Florestas submersas aquascape. And for the final part we are heading a bit more south, crossing the Tagus river (Rio Tejo) our destination is a Solucoes aquaticas (aquatic solutions) in Barreiro. We made our way trough the busy traffic, it was already 4 p.m by the time we left Lisbon, so like in London the rush hour traffic starts to pile misery to commuters around this time. But its only a short trip south, it took us 27 minutes to get there and most of that time was made crossing the beautiful and impressive Ponte Vasco da gama, (Vasco da Gama bridge) a 17 km long concrete giant that stands tall in the Lisbon Landscape making what would have been once a nightmarish trip, just a short hop. The bridge was built in the mid 90's and at the time if I am not wrong it was the biggest in Europe. During the crossing I was still thinking about Forests underwater how relaxing it was while I was there, but at the same time I was wandering what I was going to find in my last visit. Unlike Aquaeden which I had visited once previously to the tour, I had never seen Solucoes aquaticas, only caught a glimpse of it on a livestream they did last year of Portuguese aquascaper Jorge Carvalho assembling a tree aquascape. 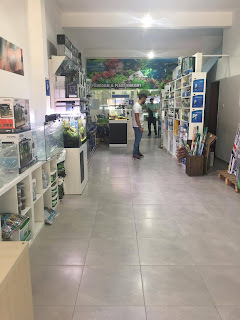 The shop is the only aquascaping shop I know of in the south of Portugal, and that says a lot about a country that sometimes seems to end in Lisbon despite a third of it being actually located south of the capital. Still I digress, we don't do politics here, we do aquascaping, and when I found out that there was an aquascaping shop near my town I made a decision to visit it as soon as I could. Finding the shop was pretty straightforward thanks to our good old trusted sidekick, the tomtom GPS, because without it we would not have made it. The shop sits at the back of a building for which to get there you need to find your way through the narrow streets. The entrance is quite discrete and the only thing that really give its position is a mid sized banner with its name on. Still we parked nearby and proceeded on our way in. Solucoes aquaticas feels like a modern shop that still manages to give us a throwback to the hey days of the traditional fishkeeping retailers. It's not an aquascaping showroom, or gallery per se, however its has a wide open space with three aquascaping display tanks. 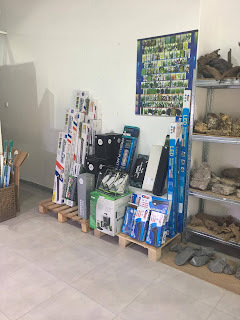 Despite its throwback to a bygone era, there is no pilling up of equipment all over the place, there are a wide amount of brands in display, and more of the ones we are used to seeing in the normal fishkeeping shops. However everything is displayed in a organized and tidy way. 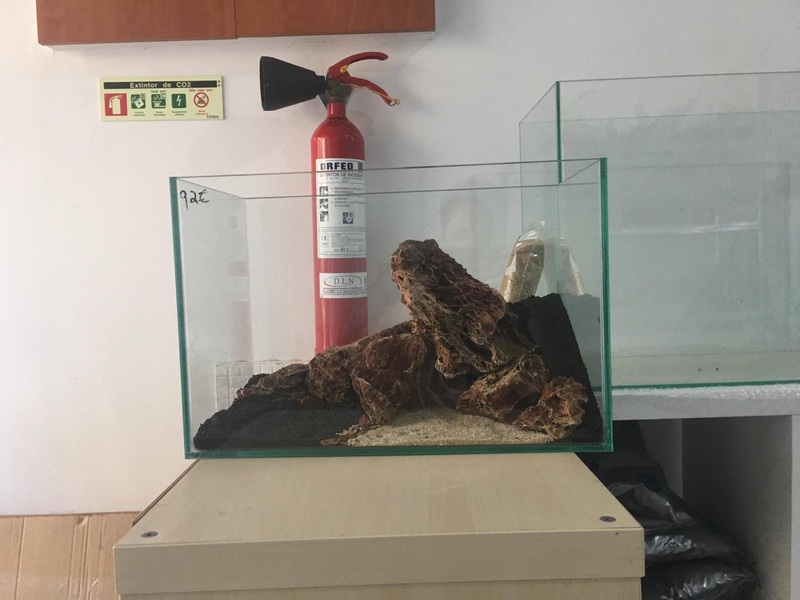 The aquascaping connection is made apparent as you come in, first thing that caught my attention was a small tank with a work in progress hardscape. 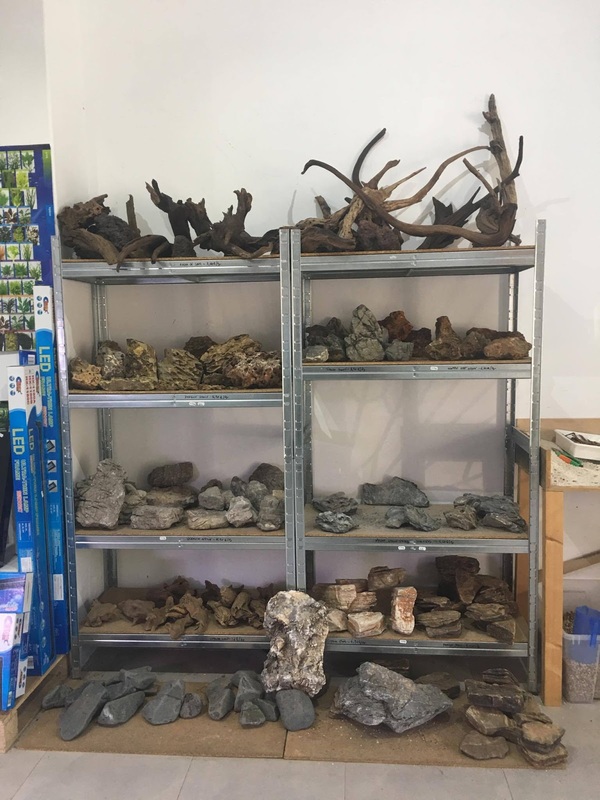 The second thing was the availability of an area dedicated to aquarium hardscape, something that traditional fishkeeping shops still tend to neglect. This feeling of old meets new becomes apparent after talking to the owner. 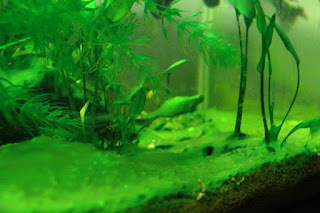 Ivo Soares is a young hobbyist whose hobby grew into a business. One of the first things he explained to me is that he loves the traditional fishkeeping shops that he grew up with, he actually seems to show some sadness and nostalgia for the old days. 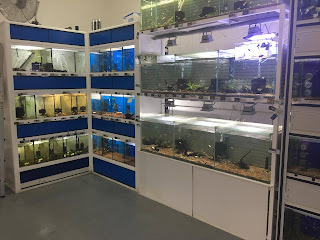 So he had no problem admitting that the shop does have to some degree more of a fishkeeping shop feel than an aquascaping shop. 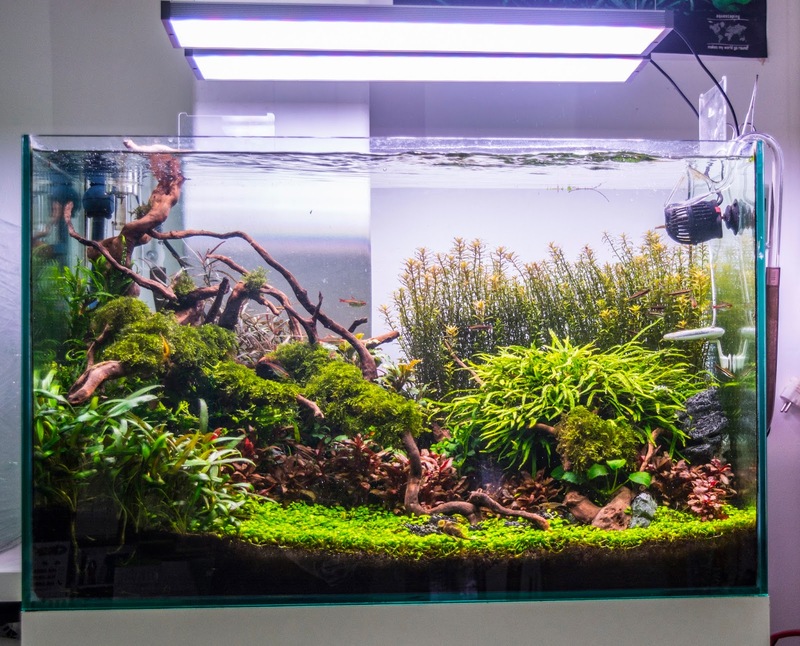 But he explained that he also likes to aquascape so it has to have a bit of both. There are three display tanks, two 60cm setups and one larger 90cm. The scapes are healthy, and good quality. They do not look world class, but I don't think that has anything to do with who or how they were scaped. 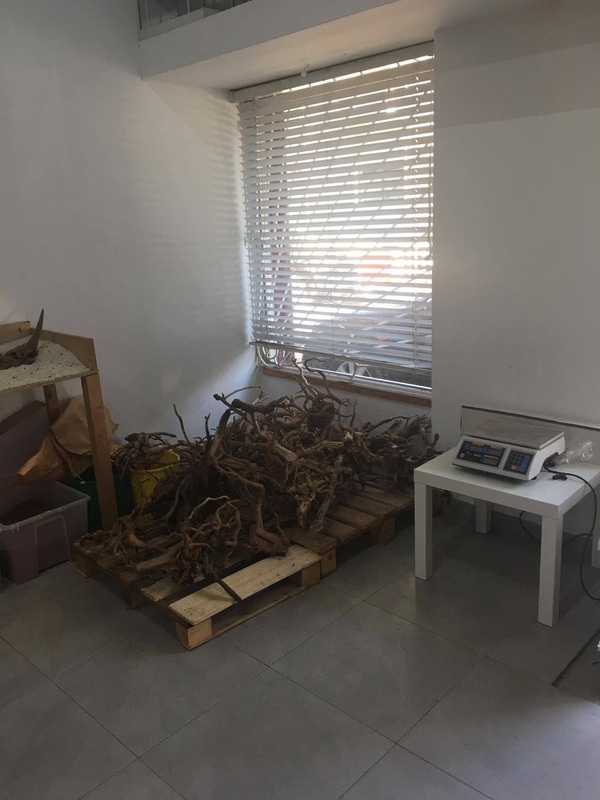 Its really more to the culture of the shop, Ivo is more than anything a passionate hobbyist that has his own shop, so the scapes from the shop thoroughly have the hobby grade feel. Something his costumers can most likely identify themselves with. My visit to solucoes aquaticas was short, this was mostly due to the fact that it was already late in the day when I got there and I still had to drive my way back home. However I still had time for about an hour of a very pleasant conversation with Ivo not just about himself and the shop, but about myself and my experiences in the hobby. When did solucoes aquaticas start? He replied that the shop is now four years old, it started as online, and this he did has a hobby, but has it grew they moved into their first physical shop, something he says was much smaller than the current one and last year as business was going well they moved here into this bigger space. He said it started as an online retailer selling fertilizers. He started in the hobby in 2002, over the years and because there was not many good fertilizers back in the day and to make it worse they were expensive, he started mixing his own. And his mixtures produced good results, which other hobbyists in forums saw and suddenly they all wanted them. He originally did it more as a hobby than as a money thing, saying sometimes he didn't even make any money out of it, but as it grew it started taking more and more time and he suddenly realized that he either had to make it a business, or give up. So solucoes aquaticas was born as an online fertilizers retailer, he also adds that part of this was possible because he had the clear thinking to register the brand of fertilizers he was selling right from the outset. The Sol'aqua brand is still sold today in the shop, he adds that over the years they tweaked the formula and they are actually phasing out the current one. He grabs a really nice stainless steel container with the brand written in black letters. He then grabs a white container and says that, the new product that he's been working on is a comprehensive all in one formula. difference is that the costumer will now only have to buy one bottle instead of two. I can really see that he is really quite proud of the product. How many people work in the shop? He says just him, however his girlfriend comes to help him out regularly. During conversation he actually pointed out to some diatoms in one of the lilly pipes saying its hard to keep everything 100% alone. But that he's not too fussed about it. During the visit a few costumers came in and Ivo was happy to let them wander around checking the shop as they all seemed regulars always making sure to ask if there was anything that he could do to help them. 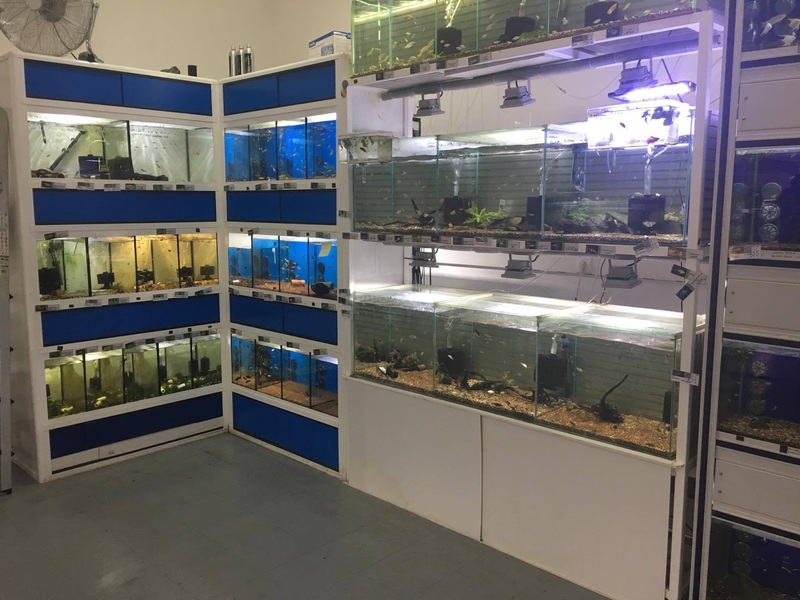 The shop has a back room where the fish are located, there's a battery of small tanks plus a larger tank with Discus. Also I noticed that the plants he sells are being kept in an aquaponics system very similar to the one I have seen George Farmer show off in his aquarium gardens videos. So after about an hour of pleasant conversation I left the shop, Ivo said goodbye by saying that if I ever returned to Portugal i was invited to do a scape on the shop. I felt honoured, who knows it may well be possible, i do want to visit them in the future, with more time to spare so i can really ask Ivo more questions about the shop and how he sees the hobby. We left the shop and made our way home. Like i said in my first article it was part of my plan to also visit Ecoarium in Lisbon, i did contact them by facebook but got no reply. 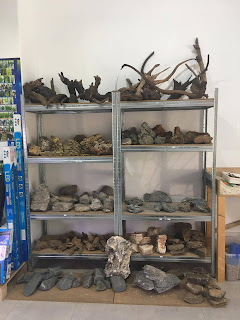 But that is not the reason why the visit did not happen, because its deeper into Lisbon and we were already late when i left Aquaeden, the choice had to be made between visiting Ecoarium or Forests underwater, the choice to visit forests was made with the intention of going to Ecoarium the following day. However it was not possible for me to go to Lisbon again before i returned to London. So the visit had to be postponed for another time. I still want to visit both the Lisbon and the Porto shops of Ecoarium so that may just become part of a future article. My article was about the tour and the state of aquascaping in Portugal, i felt sorry i didn't have the time to actually arrange a few interviews with actual hobbyists. 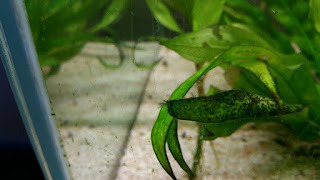 But like back before i left, the aquariofilia.net is still a reference of the fishkeeping and aquascaping community in Portugal, a forum that is actually the original innovator of the hobby in the country as almost all of the professional aquascapers and shop owners of the country originally started their careers there. Rui Alves himself as well as world renowned aquascaper Filipe Oliveira were active members of the forum when i was a beginner. Today a new breed of hobbyist leads the way, Toze Nunes and the rest of the team do their best to expand the hobby, they are present every year in February at the Lisbon pet festival, and most recently with the creation and maintenance of two large aquascapes as part of a charity project to help the oncology patients of the Hospital of Portimao. I believe that comparing to when i left the country almost ten years ago there has been a huge jump in both quality and availability of shops, plants, hardscape and equipment. Aquaeden is a world class shop, that is renowned throughout the world and Rui really had to work hard to reach that status, Ecoarium is also renowned for its quality and i can't forgive myself for not seing it. 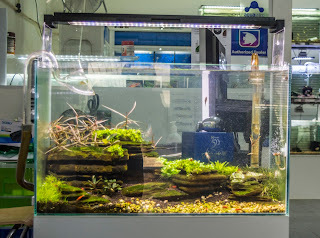 Solucoes aquaticas expands aquascaping south, and is an example for all the hobbyists out there that dream of having their own shop. 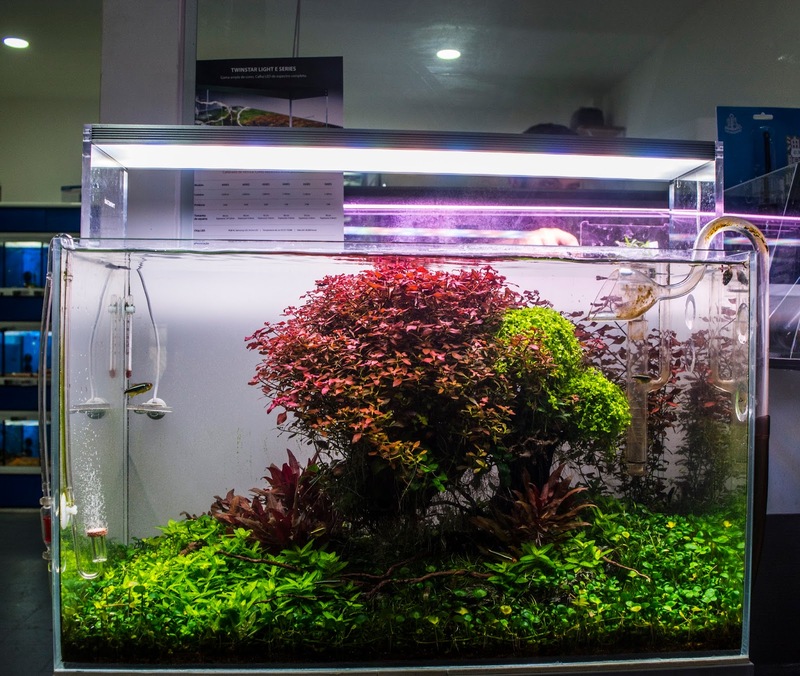 And to top it all off the Forests underwater aquascape, now that it has been announced that the exhibit will carry on, it places Portugal at the center of the aquascaping world, and it stands as a testament to Takashi Amano's work. There are obviously more quality shops in Portugal, but i don't know them all, and couldn't afford the time to visit them in my holidays. However walking around my town a few days after the tour i found that the old picture of the hobby is still very much alive. 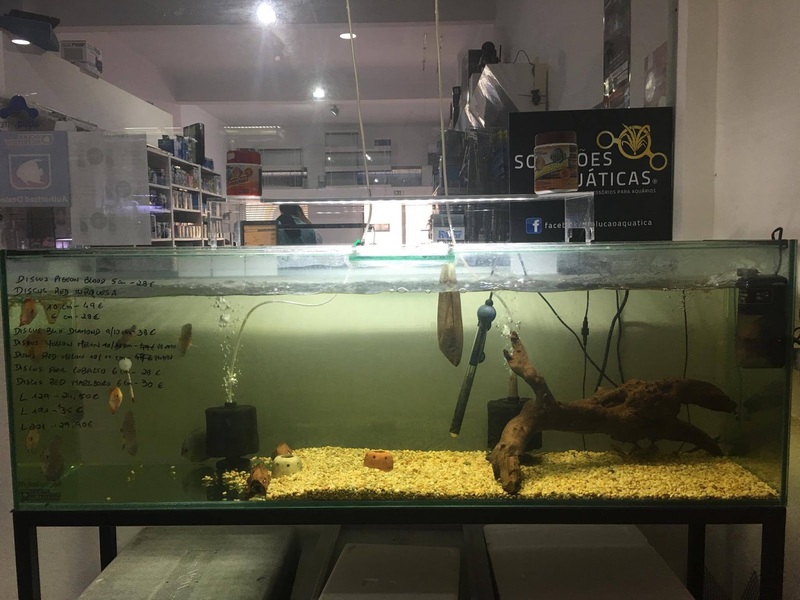 In my hometown there are no aquascaping shops, no fishkeeping shops, just pet shops. Some of which happen to sell some fish. So there is still a lot of room to improve. I have nothing against a legitimate business man trying to make a living, pet shop, fishkeeping or otherwise, but as an aquascaping enthusiast i can't stop thinking its about time my hometown had its own dedicated shop. Hopefully someone steps up to the plate and creates something i will be happy to visit. Or who knows it may even be me that steps up. After all we are all in a quest to make our hobby grow, whether we know it or not.